How to choose the best coding Bootcamp? Coding Bootcamps are a great option to launching a new career, land in a new job and get great benefits afterward; but there are many factors and options to take into consideration when you are choosing the best coding Bootcamp for you. We believe that your education decision should address these main four (4) topics: (i) ROI (how to measure the cost), (ii) Job Placement, (iii) Methodology (Part-Time, Online or Full-time) and (iv) Content (Syllabus and learning process: exercises, technologies, projects…). Based on this aspects we want to ensure that you can have all information on hand before choosing to enroll in a coding Bootcamp. 1. How to measure the Cost? Once you have taken the decision of becoming a developer, you should put in a balance (a) the cost of attending a coding Bootcamp, and (b) your expenses during the program; this will help you determine whether the returns of the expected employment and financial opportunity outweigh the cost of the program. Speaking specifically about tuition, Coding Bootcamp average fee in the US is around $11K, it normally takes 14 weeks (avg), and the expected salary is around $60k p/year. Must Coding Bootcamps offer financing options (we offer you -at least- three options, starting from $135p/mo: click here to see more details) and different payments options (we are already accepting Bitcoins and Ethereum – for example). At a glance, it becomes obvious that in terms of cost, Bootcamps are at the top. However, you need to first address a major question: Full-time programs or part-time? You may already know what we think about this particular topic (Let’s Part-time | 4Geeks Academy only delivers part-time programs). Now, what it’s really important to consider is that when you are taking a Full-Time program, you have to think about your living expenses. 4 months of no income + a lot of expenses (well, your regular monthly expense). What about benefits? A coding Bootcamp program takes the most relevant skills from a 4 years science degree and bridges the gap between the academic theoretical learning and the real experience as a developer using a high impact learning methodology which ensures you will get the updated skills that most of the companies or startups demands. 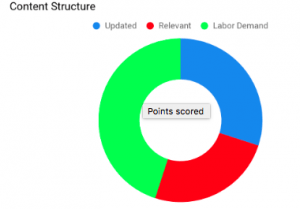 An excellent way of being sure that the program can provide you the return on investment you are looking for is by reading a study comparison between each of the Bootcamps you have chosen (or make it yourself). For example, if you live in Miami, you should read our post about Wyncode, IronHack and us (4Geeks Academy). Placement shall be at the top of your concerns. Getting a job afterward is normally what you are pursuing when enrolling a Coding Bootcamp (along with launching your project). Coding Bootcamps really take care of helping you get a job after graduation. It is our goal to help you improve your life. At 4Geeks Academy we care about your professional development and we coaching you to build your professional profile according to what companies are looking for, with 1-1 mentoring throughout the program. Recently we have reached a great milestone: we have consolidated a great 91% job placement. Our alumni are getting hired after 120 days after graduation. 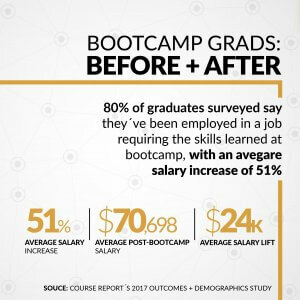 Furthermore, students graduating from Coding Bootcamps are getting paid 50% more than what they were getting before joining the Bootcamp. 3. What does it mean a high impact methodology? Some people believe that a high impact methodology has a lot to do with a Part-Time or Full-Time schedule, and it might be true, but it’s not just that. Taking an immersive coding Bootcamp is not the only way that guarantees you that you will become a web or software developer, and although being in a Part-Time coding Bootcamp allows you to continue with your current job/career path, it doesn’t mean that it will be easier or that you will not achieve the standard required to find a job afterwards. It all has pros and cons but when we talk about a high impact methodology we mean that it must be designed towards enabling students to become developers, and it requires a compound of at least 300+ hours of hard work (hands-on mainly) while provides a well-designed product supported by technology (an academic platform -LMS-) to achieve the quality expected. We believe in Part-Time education, and we are proud of the program we have in Miami. You will become a software developer, within a part-time structure, in 16 weeks, paying only $6k, because we have managed to lower the cost of your education. It is fundamental that if you are going to spend your time and money on a coding program, be sure that the skills you will obtain will be useful. Syllabus matters because the languages and technologies that are included in the program, should be: updated, relevant and in line with job demand.? Of curse, technology evolves rapidly. That’s why you shall choose a coding Bootcamp that is concerned about updating their content in order to provide you with the product, support, mentorship and exercises you need. At 4Geeks Academy we are enhancing our Syllabus every month. Click here to get more details. 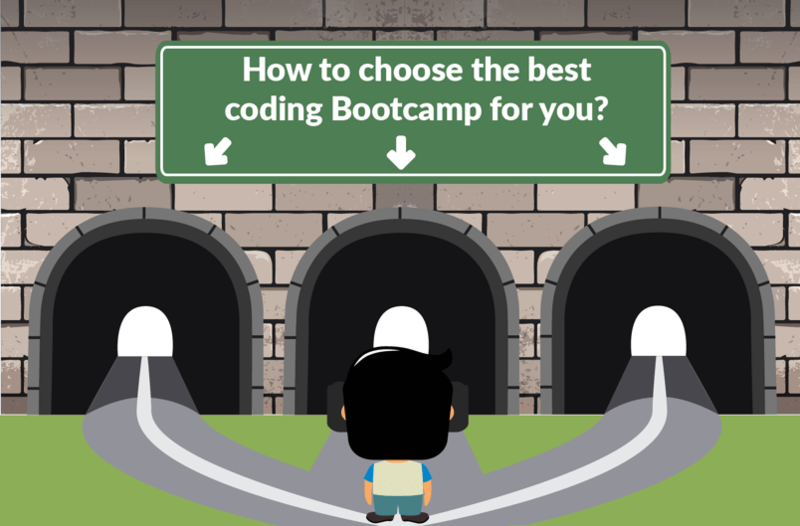 So how to choose the best coding Bootcamp for you? Check out how is the job placement ratio: job opportunities, expected starting salary, and time frame. Part-time or Full-time programs. 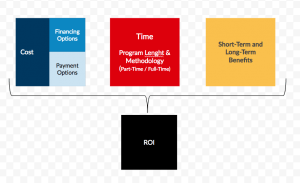 Ask yourself: How is the structure of the program? How do they teach? What is the outcome? The content should be useful, updated, relevant and in line with job demands (it should lead you to achieve your ROI expectations). Choosing a coding Bootcamp is a significant investment and it will demand a great deal of your time; we are totally aware of it. That’s why we focus on delivering you a premium program, with great pricing options, based on a Part-Time Methodology, with a tailor-made content, exercises, and projects that will get a skillful developer out of you.